Does Removing the Name of a Deceased Owner From a Savings Bond Create a Taxable Event? Savings bonds can be transferred at death to a co-owner or beneficiary. The interest earned by a U.S. savings bond grows tax-deferred until the bond is redeemed. For a bond held over a period of years, the amount of interest accumulated can be significant. 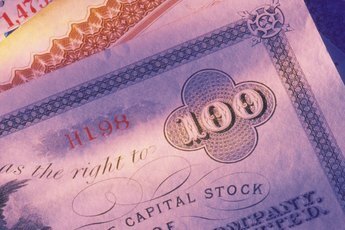 When a listed owner of a savings bond dies, the remaining owner or beneficiary has some flexibility concerning the tax consequences of the accrued interest. 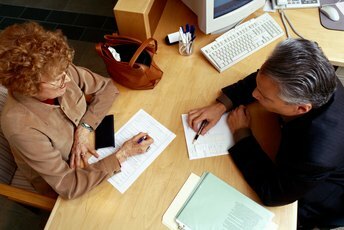 A U.S. savings bond can have either a single named owner, two co-owners or an owner and a beneficiary. In the case of co-owners or a named beneficiary, when a listed owner dies, the bond becomes the sole property of the remaining co-owner or the beneficiary. If the single owner with no beneficiary or both co-owners die, the bond becomes part of the estate of the last to die. 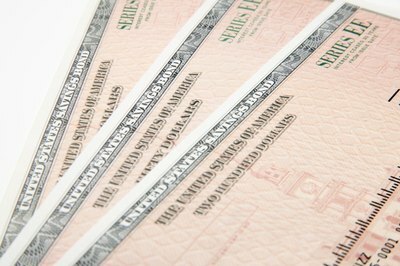 A surviving co-owner or beneficiary can send the bond in to the U.S. Treasury with a copy of the death certificate to have the bond reissued with the surviving owner or beneficiary listed as the single owner. 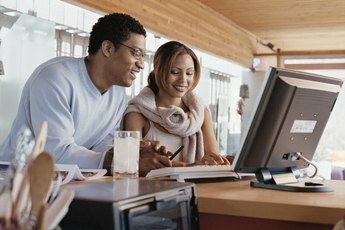 If the bond ownership is switched to a surviving co-owner or beneficiary, the tax-deferred status of the bond can be continued. The earned interest will not be taxable until the bond is redeemed or disposed of in a taxable transaction -- such as transferring the bond to another owner. The interest earned on a savings bond does becomes taxable when the bond reaches final maturity, even if the bond is not redeemed. For most savings bonds currently in existence, final maturity occurs 30 years after a bond was issued. The person who is handling the estate of the deceased bond owner has the option of reporting the bond interest earned up to the date of death on the final tax return of the person who died. Paying taxes on the first death reduces the tax burden if the surviving owner or beneficiary later decides to cash in the bond. The first death of a listed bond owner gives the survivors the option of either reporting the taxable interest in the year of the owner's death or waiting until the bond is redeemed by the surviving owner or beneficiary. If there is no surviving co-owner or beneficiary of a savings bond, the individual handling the estate of the deceased owner must redeem the bonds through the U.S. Treasury and include the interest earnings in the estate's tax return. If the estate does not have a court-appointed representative and the total value of savings bonds in the estate is less than $100,000, the nearest living relative to the deceased can handle the redemption of the bonds. Depending on the rules under which the estate is administered, the TreasuryDirect website provides different forms to request disposition of the saving bonds. How Do I Change the Owner of HH Saving Bonds?